Darren is responsible for management and strategy. He has over 20 years executive experience as a successful CEO with a strong commercial focus and common sense approach to business. Darren’s operational experience includes strategy, business development, organisation, contract negotiation, acquisition and divestment, branding, multi-service offerings, people management and client relationships. His industry experience includes medical devices, recruitment services – executive search and labour hire, hospitality and retail, with companies such as Sodexo Alliance, Global Orthopaedic Technology and the Total Recruitment Group. In Darren’s most recent position he restructured Australia’s leading orthopaedic company prior to negotiating a majority stake divestment to a USA based private equity firm. Brendon is responsible for the company’s finance and operational deliverables. Brendon is a certified practising chartered Accountant with significant experience in a number of industries in both national and multi-national companies. These include IT&T (Alcatel-Lucent), FMCG (H.J. Heinz), Manufacturing (HPM Legrand), Training and Conferencing, Supply Chain and Chartered Accountancy. Brendon thrives on developing and implementing business strategy and building teams to support growth and profitability in companies via technical support and a 'can-do' attitude. Over recent years Brendon was integral to the selling of three highly successful companies. Gerry is responsible for the company’s sales and delivery channels with an initial focus on custom and primary orthopaedics. 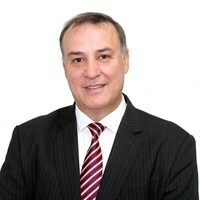 Gerry has over 17 years medical device industry experience most recently 12 years with Smith & Nephew as an executive, and prior as their exclusive distributor for NSW/ACT from 2006-2009. Gerry's passion is in relationship management via consistent high quality service delivery. Through his extensive orthopaedic knowledge he has formed many trusted relationships, always using his skills in a way that supports improved healthcare solutions. Phil is responsible for the company’s evolution of intellectual property, innovation, and Research & Development. He has proven-ability creating capable teams, fostering positive work culture, and applying innovative-thinking leading to commercial success. Phil has a design engineering and executive background with over 25 years of medical device industry experience in both Class II and Class III devices including patient masks, sleep apnea/respiratory devices, and cardiac electrophysiology catheters. Phil was Chief of Technology with ResMed, a multi-national Sleep and Respiratory medical device company, from its start-up phase for almost 24 years, while operating at chief engineer level and subject matter expert for patient mask interfaces, and named an inventor in over 1,400 medical device patent cases including 300+ patents granted in the USA. John’s focus is on the technical and scientific issues associated with each custom product Bespoke is involved in commercialising. John is a mechatronicware entrepreneur with three degrees in science and engineering and has been involved with numerous technologies in the mechanical, electronic and software fields. For his Masters thesis John developed a 3D mouse called the Spaceball, which his employer commercialised following additional investment from a private Australian investor. Spaceball’s company, Spacetec IMC Corporation, went public on NASDAQ in 1995 raising US$16M before merging with Labtec Inc. in 1999. John returned to Australia in 1999 and became the Chief Technology Officer for a Brisbane based start-up that commercialised several inventions in the medical, sports, building and computer industries. He then re-developed a new 3D mouse and founded Spatial Freedom Pty Ltd in 2005 to commercialise this technology to expand the 3D mouse into new markets. In recent years John has provided technical contracting to various companies to resolve mechanical, electronic and/or software issues with their products. In 2013 he was contracted by Bionic Vision Australia (BVA) to manage their Externals division that was responsible for the non-implanted electronics. Chris has specific focus on continued development of the ApneaSeal technology, and automation and refinement of the production processes involved. Chris has two degrees in engineering, and his work has been published in a number of peer reviewed journals. Chris enjoys working in the medical device industry as it allows him to combine knowledge from different engineering disciplines in order to improve a person’s quality of life. Prior to joining Bespoke Medical Innovations, Chris spent 7 years working in bionic vision research at the University of New South Wales. He led the team focused on developing neural interfaces, and solving problems related to the miniaturisation of the implantable components of the system. Bespoke Medical Innovation’s Advisory Board provides advice and insight to the senior management team relating to strategy, finance, operations and emerging technology opportunities. Darren Churchill – Darren has over 20 years experience in commercial management. His experience is diverse including healthcare, recruitment, hospitality and retail. Darren’s most recent position was CEO of Global Orthopaedic Technology, Australia’s largest orthopaedic implant designer and manufacturer. Darren and his team had also orchestrated a major stake divestment to a USA-based firm. 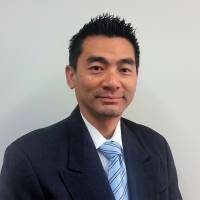 Phil Kwok – Phil has 25 years experience in the Sleep Apnea and respiratory devices field. He was one of the early starters at ResMed during the start-up phase. ResMed is now one of the world’s most successful Sleep and Respiratory medical device companies. Phil is considered a global expert in mask interfaces, and is a inventor/co-inventor in over 1,400 patent cases, and represented his employers in numerous litigation cases. Gerry Mahony – Gerry has over 17 years in the medical device field, with 12 years as an executive with Smith & Nephew orthopaedic, specialising in management, sales, and marketing. Gerry has extensive knowledge in orthopaedic healthcare solutions and has forged numerous strategic partnerships leading to commercial success. 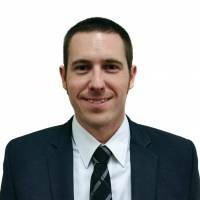 Brendon Wilson – Brendon is a certified practising accountant with diverse national and multi-national experience in the field of IT, FMCG, Manufacturing, Logistics, and Healthcare. Brendon has executed the sale of three successful companies. 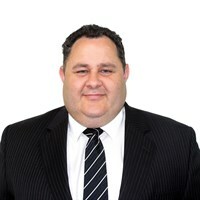 Peter Stewart (Public Notary) – Peter is an accomplished commercial lawyer with extensive senior management experience. Peter is a Principal at Coleman Greig Lawyers with expertise in complex commercial issues, such as share/business sale arrangements, contracts and corporate governance. Peter holds numerous non-executive positions on a number of advisory Boards. 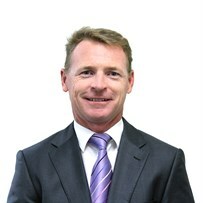 Pat Grier (AM MAICD) – Pat was the MD and CEO of Ramsay Health Care for 20 years. Initially, Ramsay had 10 hospitals and turnover of approximately $200M. Through Pat’s strategic vision and direction, a highly successful operation, along with embedding a culture of the “Ramsay Way", the organisation grew to over 100 hospitals in Australia and overseas with a turnover of almost $3B and employing 30,000 people. During his tenure as CEO, the company had a return on shareholder funds of over 500%. Pat was also Chairman of the Private Hospital Association for over 12 years, has been involved with numerous healthcare organisations, and considered an architect of the private hospital sector. 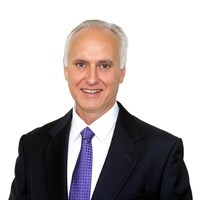 Steve Banks (GAICD) – Steve serves as an external advisor to Bespoke Medical Innovation’s ApneaSeal business unit and new emerging technologies. Steve brings experience and ongoing success of his career in sales and marketing, including commercially-aware entrepreneurship. He was co-founder and Board Director of Global Orthopaedic Technology, a Sydney-based medical device manufacturer and distributor. Bespoke Medical Innovation’s Medical Advisory Board consists of independent expert physicians who provide technical advice to the Board relating to the clinical efficacy and effectiveness of any medical technologies being considered. Dr Peter Hannaford M.B., B.S., F.A.S.M.F., F.A.C.S.P., F.R.A.C.S., F.A.Orth.A.